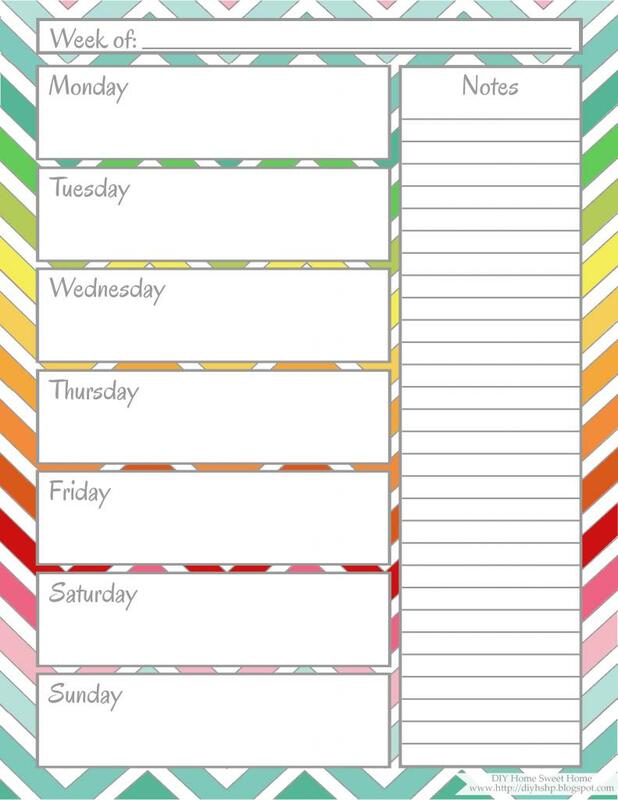 Update: Since writing this post I have added more free printables. 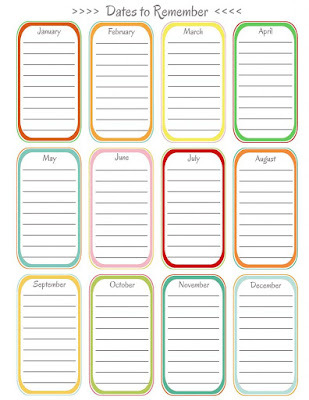 You can find all the printables from this page and any new printables at the following link. 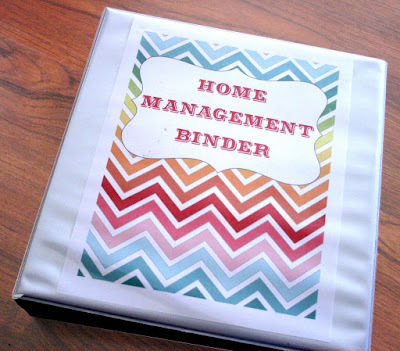 Home Management Binder Organizing Printables! This project took a few weeks but it was so worth it!! Be sure to check out my shop by clicking HERE!! For my binder I chose a large two inch binder with a clear pocket on the front to hold my cover page. I laminated my tabs and glued them to black card stock. The 1st page in my binder is my Dates to Remember page. This is a great place to keep track of birthdays, anniversaries, and any other yearly celebrations that I need to remember. The 2nd tab in my binder is my Monthly Calendar. I have transferred all of my dates to remember from above to my this section. 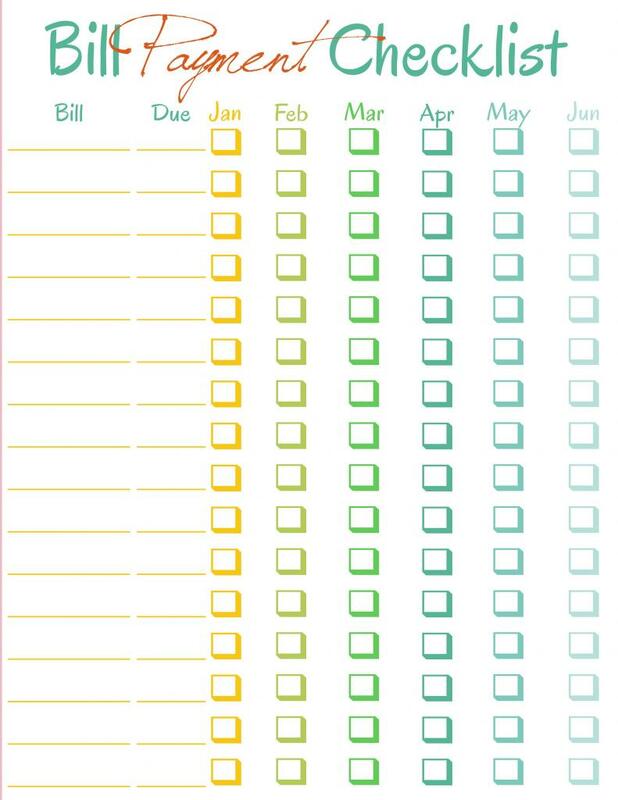 I also keep track of my husbands work schedule and pay days, due dates for monthly bills, library book due dates, special events for the kiddos, and any other activity's we have planned for the month. After my monthly calendar is my Daily tab with my Daily To Do List. I try to sit down every night and write down a couple things that I am thankful for in the bottom right corner. I then grab a new Daily sheet and write down everything that needs to get done for the following day. The water section has been a huge help in keeping me accountable for drinking enough water throughout the day. 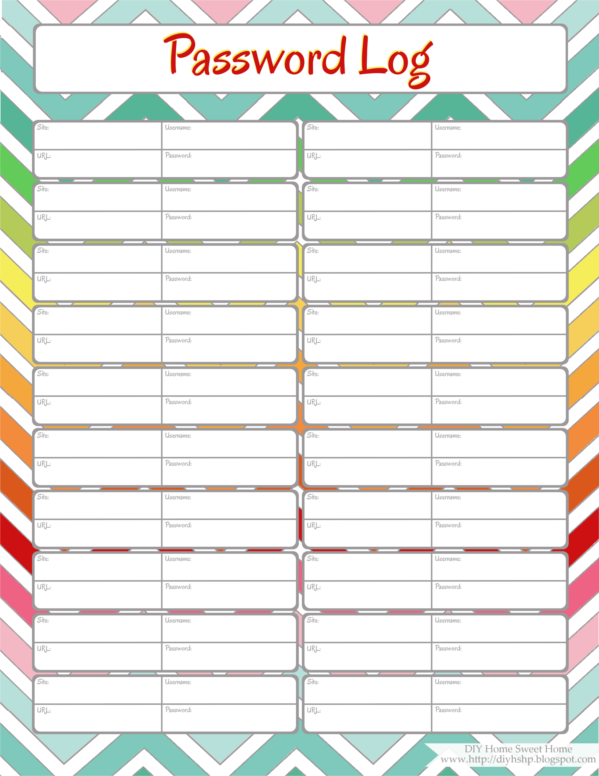 This system works great for me but for those of you that prefer a weekly planner sheet, I have included a link at the bottom of this post. Behind my daily schedules, I keep a copy of my Cleaning Check List. Without this reminder of what needs to be cleaned my house would be a disaster. 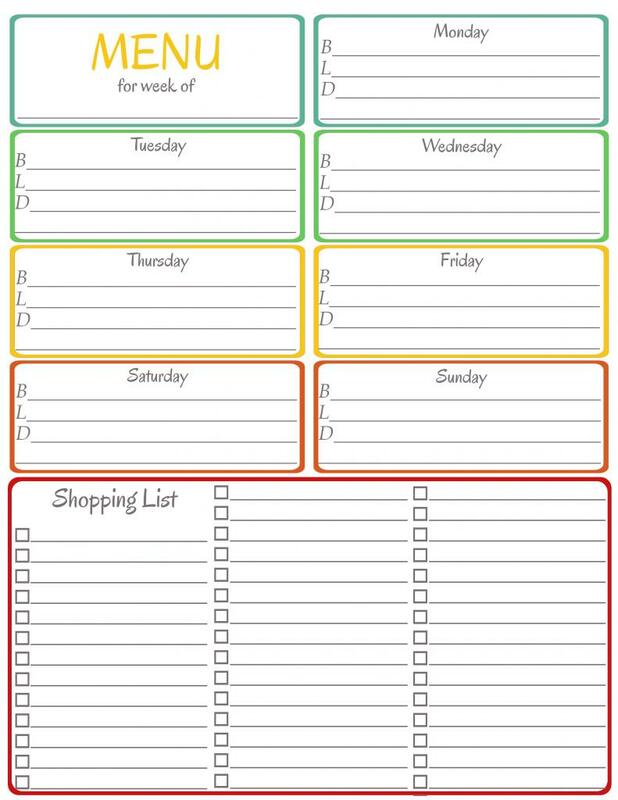 I keep of the Weekly Menu Plan/Shopping List on our fridge throughout the week so that my husband and I can quickly jot down anything we are out of or items we would like to buy. Then sometime during the week (usually on Thursday's), I will write down our menu for the following week and add any ingredients that are not already on the list. We usually do our shopping on Fridays. Once I am done with the list I will place it back in the binder for reference and place a new one on the fridge. My Contacts' pages are amazing! My last Home Management Binder didn't have the tabs in the contacts section and it became a major pain to find anyone's phone number. I printed off 13 pages and then cut off all but one tab on each page. If you follow the link above there is also a link to a contacts page without tabs if you would prefer not to deal with them. 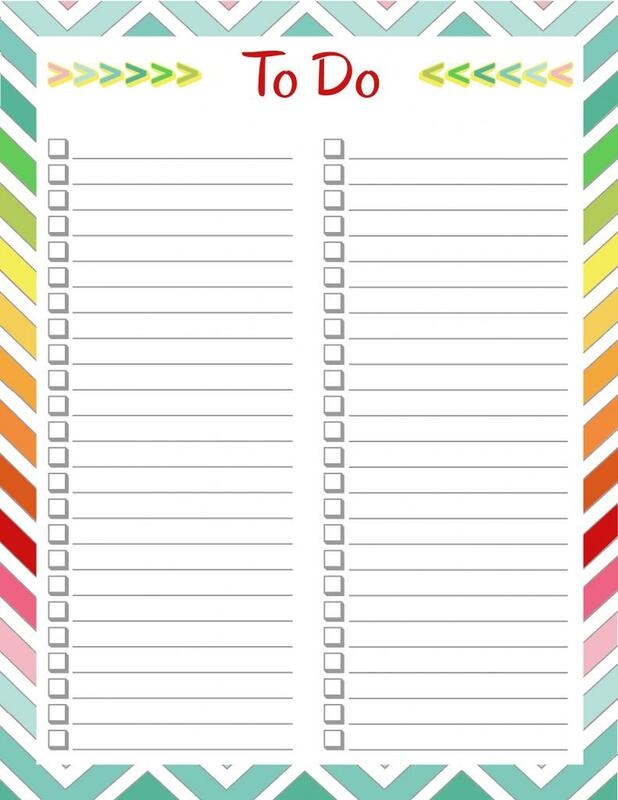 I use the to do list on my daily page for any thing that I need to get done in a single day. 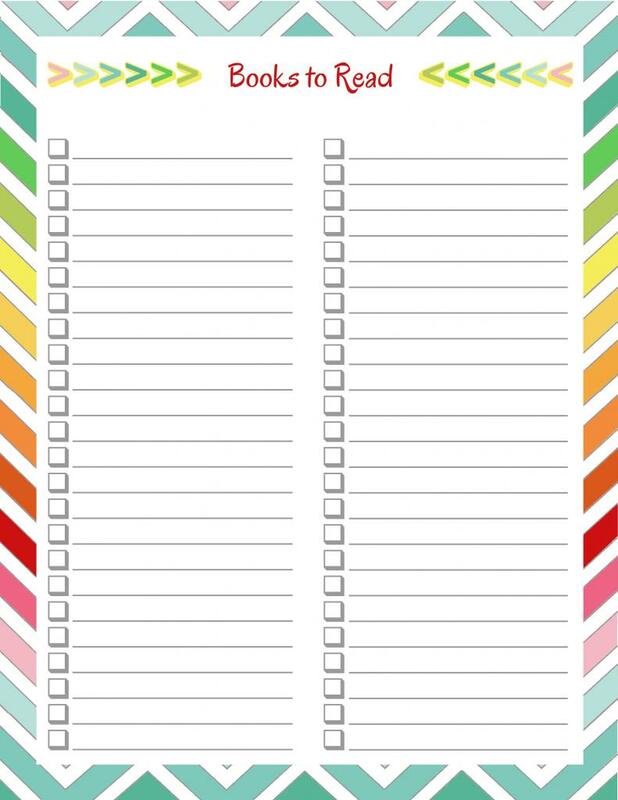 I use this To Do List for larger Projects that will take a couple days, such as this binder, deep spring cleaning, and current home remodeling projects. This Master To Do List is to keep track of all our projects that need to get done someday but are not yet a priority. I will be going over this list often and transferring items to my daily to do list as needed. Next I have a tab labeled LISTS. Which includes my Books To Read List, Wines To Try List, Movies & Shows To Watch List and a Blank List. I am always changing my passwords, and in turn, I am always forgetting them. This Password Log works wonders to help me keep track of what password I am currently using for what site. The second-to-last section in my binder is my medical section. 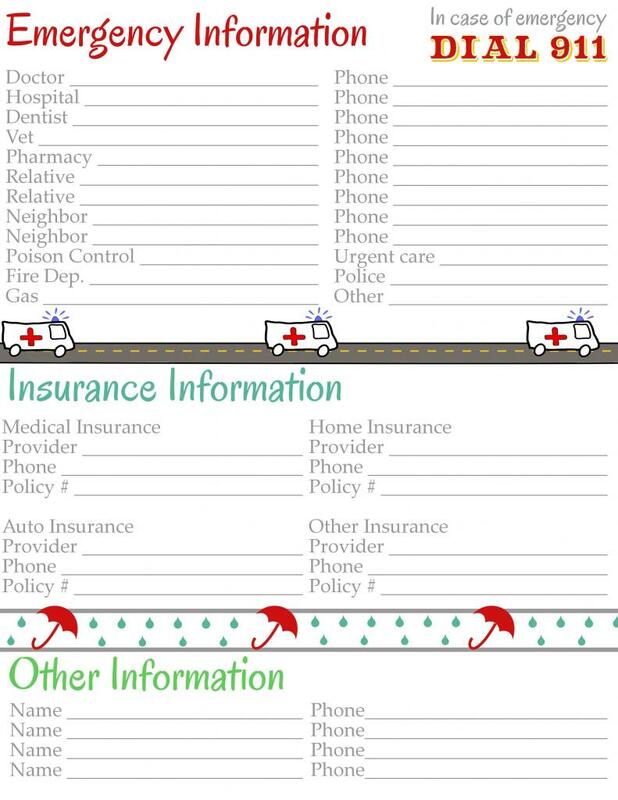 This Emergency Information page is a great place to keep all of our family's medical information. 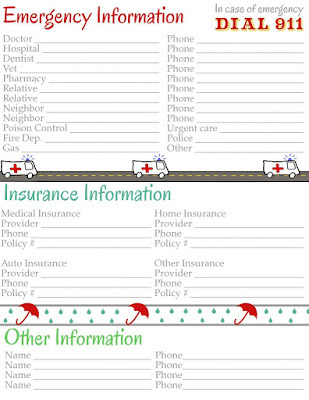 I also included this Medical Expenses page in the medical section to keep track of how much we spend on medical bills throughout the year. The last page in my medical section is the Doctor Visits page. 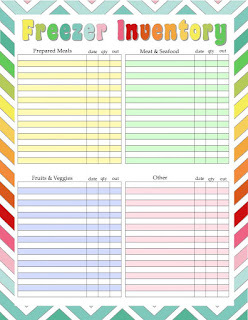 This way we can keep track of dates and reasons for our doctor visits as well as prescriptions that where given. The last tab in my Home Management Binder is my finance tab. In the front of this section is my Bill Payment Checklist. I love being able to glance at this and know what bills are already paid and what we still have left to pay for the month. This Bills To Pay Account Information sheet saves me so much time. If I ever need to contact someone regarding one of my bills, need to cancel a service, or add to one, I no longer have to search through a stack of paperwork to find a phone number. 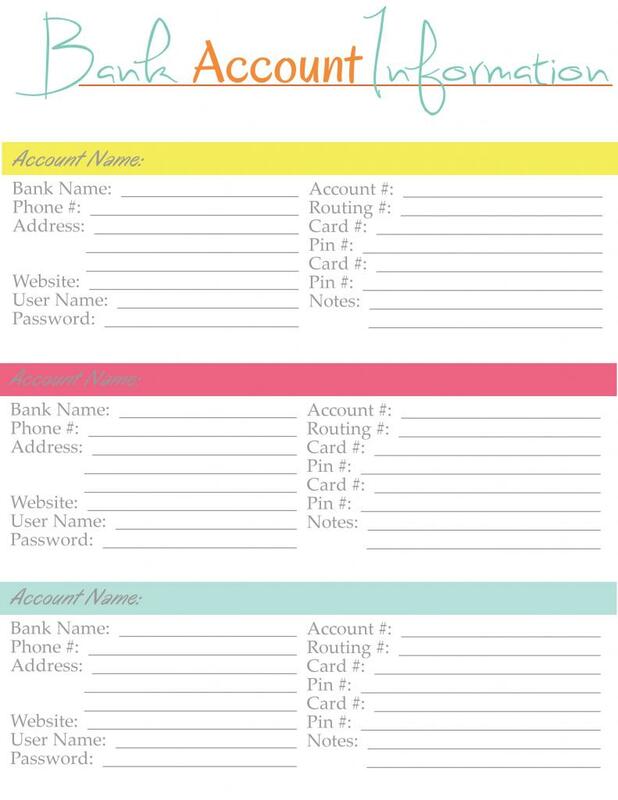 This Bank Account Information page is where I keep all of my information for mine and my husbands bank accounts. I wouldn't recommend that you include this page in your Home Management Binder if you are planning on leaving it out in plain view. This is not information that you would want in the wrong hands. And there you have it. My Home Management Binder is complete for now. Over the next several months I am sure there will be many changes to my binder as I decide what works and what does not work for my family. I will be sure to keep you all posted and up to date on any changes I make or any new printables I add. This is great. These binders are all over right now. Yours is my favorite. I love all the colors. So bright and cheery. Most important to me is its easy to customize to fit our family. Now its time to check out the rest of your blog. I agree hers is definitely my favorite! It's got lots of extra things like must see movies and book to read, love it! I am so glad I pinned this ! Your binder looks AH-mazing ! Thank you for sharing ! Awesome! You did a great job!! Could you at least provide the links that people offered. I'd love to see them, even if it's a bit more work. I'm making a new binder and need all the help I can get. 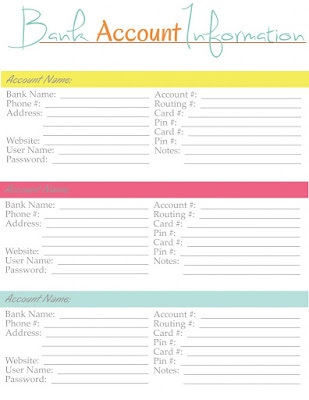 Pioneercythia, the links for all of these printables are included in the post. Thank you for sharing your pages. I have printed them off and am looking forward to getting organized. I love the bright colours as it makes it so interesting :) Thank you. These are great! 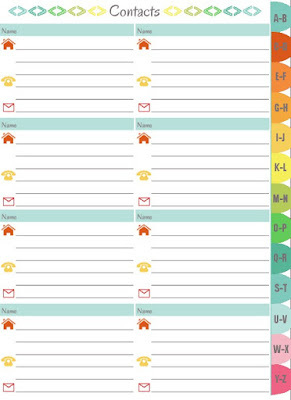 Love the bright, fun colors (especially love the funky "Jot It" page). Thanks for sharing! Such a great binder! The colors and the layouts are gorgeous. Thank you so much for posting it - I've wanted to make one for awhile, but I'm not that great at making cute pages. You saved me a TON of work. thank you, thank you! This is a fabulous set of printables - I'm excited to add some of them to my binder today! Thanks for sharing your hard work! I love all of your binder pages! I'm writing a blog post for Tuesday that will link back here. I'm planning to use a bunch of them for a work organization binder! Would love to see an app that included all this. Everything is so digitalized now that i would find it easier to use on my phone and/or computer. Now to get someone to do it. That is a good suggestion. I wish I knew more about making apps. I do hope you will be able to make this into an app. I pinned this yesterday and already both my sisters have pinned it as well. 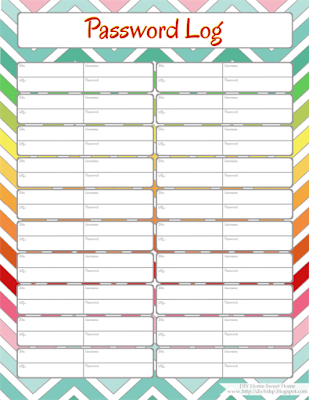 This is by far the best home management binder I have seen and I plan to print these out and get rid of the mishmash of printables I tried and failed to use before. Is there a way to download the all of the pages at once, or is it page by page only? Hmmm... I just printed them and they worked fine. May be something to do with your computer. If anyone else is having problems please let me know. This happened to me as well but on different pages after I had printed several. When I read the error message it seemed like IE was trying to protect a possible copywrite or something like that (can't rmrmeber as it was several days ago) I just closed out and came back later, picking those pages first and all is well. These are fantastic! Just amazing! Thank you so much for sharing!! Please take a second to see my blog post on this - I referenced you Jamie! :) I made two more forms, and they "match" the ones you've made. I'm pretty sure I'll be making more in the future. Thank you so much for all the hard work, the forms you made are superb! I've uploaded three more. I now have, "Emergency Personal Identification Information" "Child[ren]'s School Record" "Pet Record" "Vehicle [owned] Record" and "Major Medical Insurance"
You are so talented! Thanks for sharing your hard work. Oh my word - this is such a blessing! These are beautiful and so practical. I made a "Christmas prep" binder and have some random ones for the home, this is a great idea to make a home management binder. Thank you again for your generosity in sharing them!! These are great, but I noticed they are not quite full size (8.5 X 11). Did you use a different sized binder? 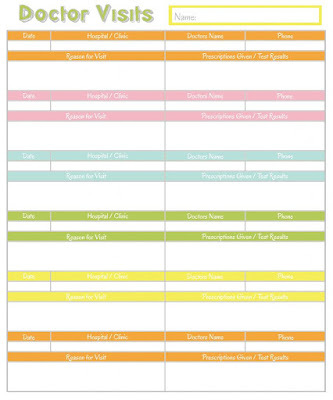 Do you know of a way to make the printables bigger so that I can use the full page? Thank you for taking the time to share this with us. These are exactly what I was looking for! 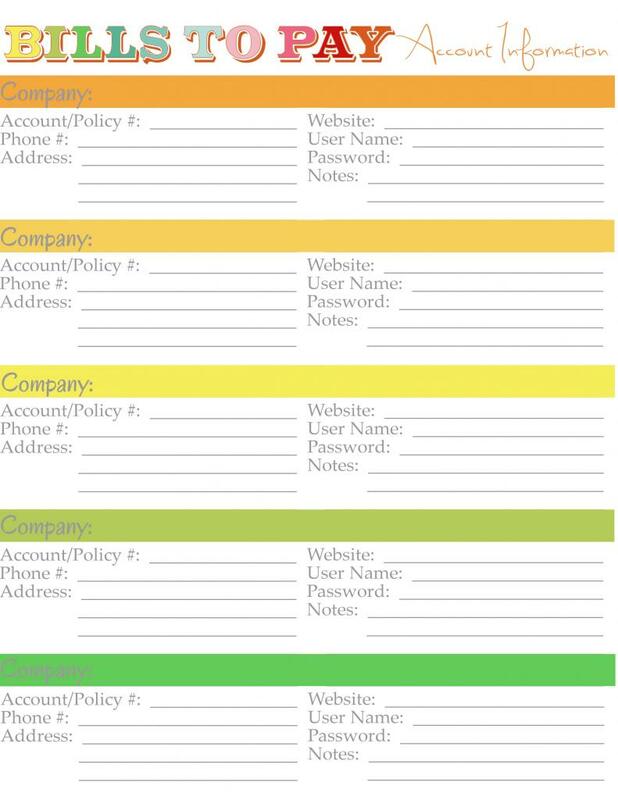 They are simple and easy to use, and the way you laid out your notebook makes a lot of sense. 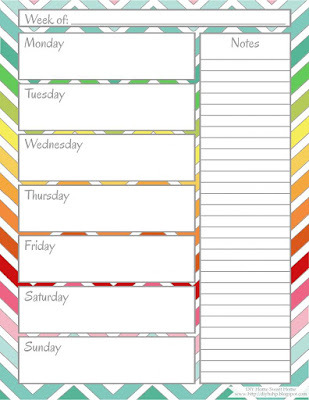 I've looked at a lot of blogs with printables, but yours is the easiest and best so far! Thanks! I would love to know what colors you used so that I could match these with some of my own printables. Thanks! I love the binder! Thank you so much for taking up your time to make this and sharing it with us. I have already printed and started using it. I saw it pinned again on Pinterest, and the monthy budget page caught my eye. I didn't remember seeing that one the first time I printed my binder so I came back to look for it and don't see it. Is it still available? Best family binder by far!! Love the colors and design!! A+mazin honey! Thanks for sharing, can't wait to share and see more of your site!!! thanks again for offering these for free! i love this binder and the designs! its beautiful and covers everything we need in ours. 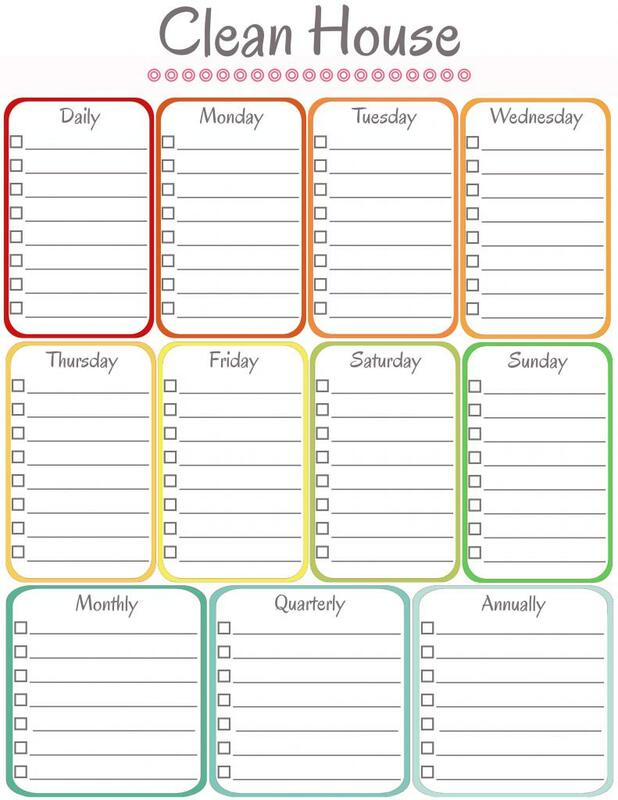 what font did you use on the calendar and daily to do list? i've been looking for something like this for a long time. I just printed off all of these printables and can't wait to play with my laminating machine tomorrow! Thanks so much for these and for all the great tips...I used to use a home management binder, but it's been years. I've been wanting to put another one together, but with 5 kids, I have a hard time finding the time to be creative. These printables are EXACTLY what I needed to get going! 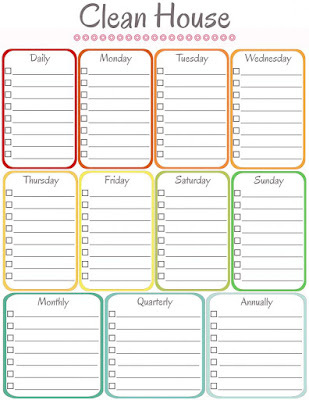 OMG, I have never used one of these and now is the time I get myself organized and you have made it so very possible. I love your color choices...fun...all kinds of great colors! I found this because of Pinterest and so very glad I did...I have signed on to email posts! I would love to find these to fit my mini binder I picked up from Target the other day. 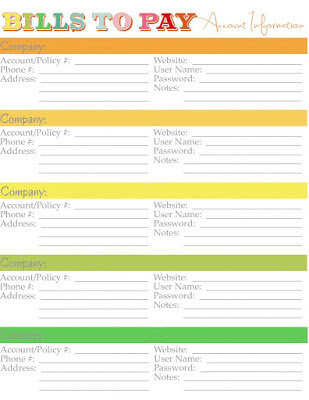 Is there a way to resize the templates or can you suggest another place to find templates like these? I've been trying to figure out how to resize these as well- but I wanted them bigger- to fill the entire page. You can adjust somewhat when you print, but then the image is not in the center of the page. For now, I'm just sticking with the almost-right size on 8.5 x 11 paper. How about a one year at a time calendar with the largest numbers possible? I always have to hunt one down and do all the reformatting so I can read it. Thanks! Thank you so much for sharing, it really is very generous of you! You did an amazing work! GREAT Home Binder....thanks for the free downloads. AWESOME!!!! I must say these printables are just so amazing! I especially love the jot it page <3 I can really see how much time you put into them, and I wish I had the patience for filling in a binder like that, but I'll have to stick with what fits in my filofax slimline.. I must say you are multi talented doing such creative things. 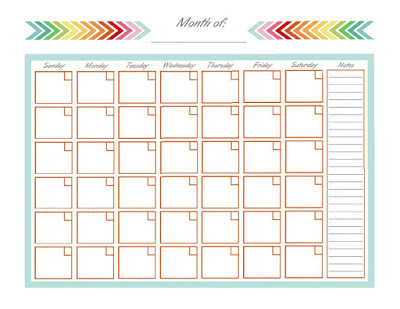 in the preview it showed the monthly budget page but when I went through and printed off my pages I didnt see that one, is it hiding somewhere else in your blog? I am going to use these in my classroom! At least for my calender and to do lists! All I need is a lesson plan sheet! Thank you for this, I'll print some, it will be life changing! LOVE LOVE LOVE THIS! I'm an organizer freak, and this is absolutely amazing. Thanks for sharing with the world! These are great. I have been looking for something like these. Thank you so much for sharing. These are awesome thank you so much! Just what I was looking for! Just printed them! Using mostly yours and adding some for our individual family. Thanks! Best binder system I've seen thus far! Thank you so much for sharing! 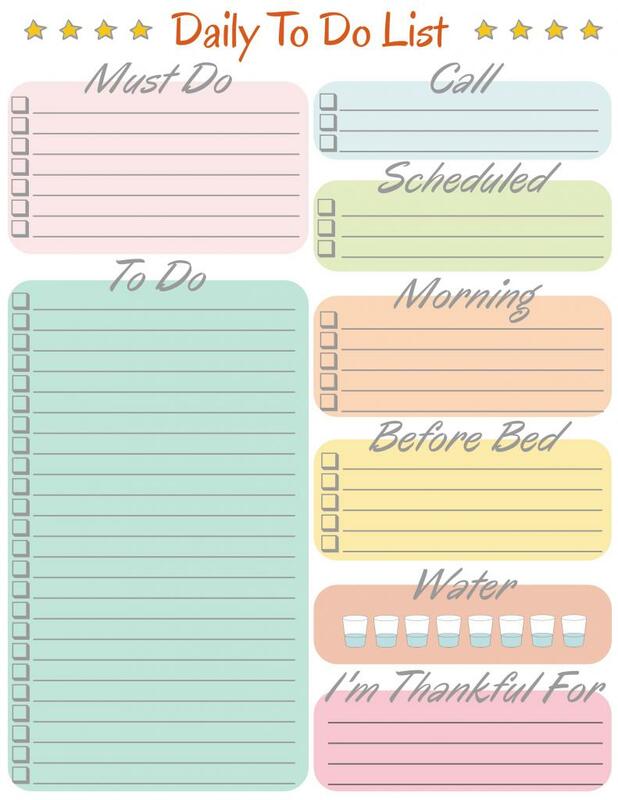 This is fantastic for someone as unorganized as I am!! I'm off for the summer and excited to get my fiancé's bachelor pad in order considering I now live here! We have a TON of organizing to do and this is super helpful! Love it! Thank you! Hi, Thanks for sharing. I just wonder, did you have to print several pages for each section? Say, for monthly calendar..So every month you have to change the paper? Hi is it possible to have it but not in pdf? I'm looking for this but in french. I would like to translate de title of the page. Thank you, thank you, thank you, Jamie! Love it!!!! 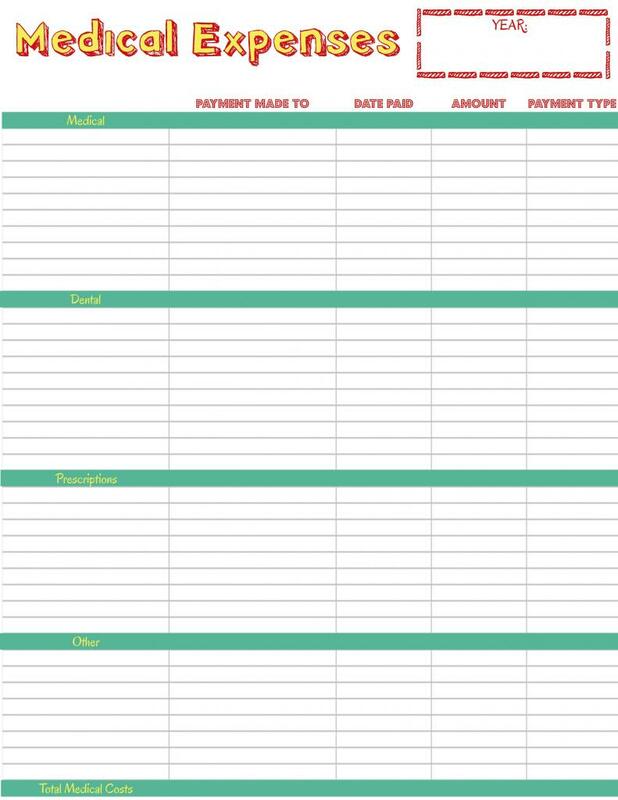 I am looking for a good debt snowball printable. I haven't been able to find a cute one and cute seems to keep me motivated! Again, thank you! I have been trying to make something like this for ages, but never had the time or patience. I'm so thankful for this. You have helped me out BIG TIME. So I am a first time RA at Middle TN University. 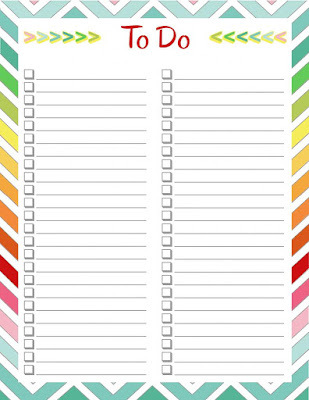 I am printing out the daily to do list for my floor of girls! Thank you so much! Thanks! Can't wait to start using! Thanks so much!! These are so fun and colorful! 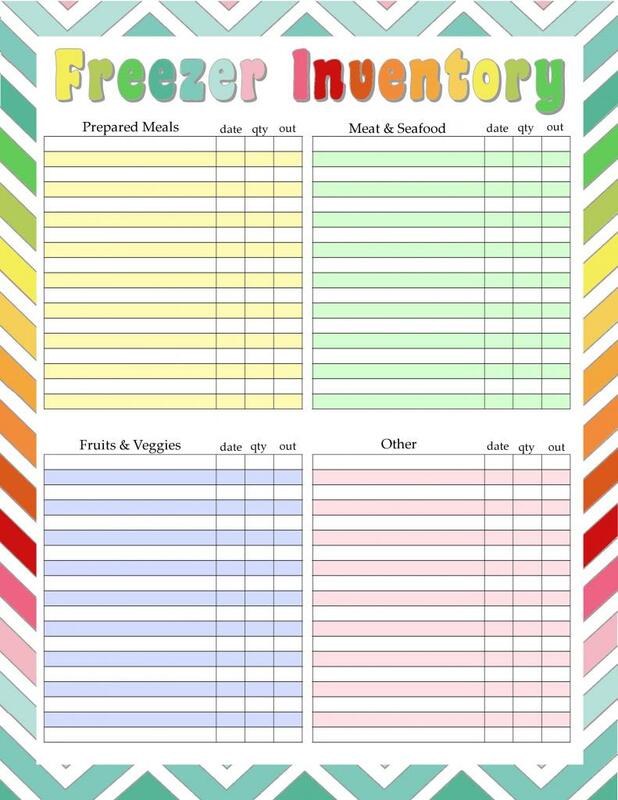 Found your printables through Pintrest. I absolutely love the Jot-It page. 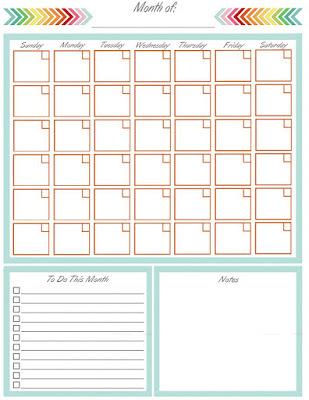 I use it for everything; blog post planning, party planning, project ideas. I always keep blank ones in my folder and purse. Thanks SO much, I feel so much more organized!! 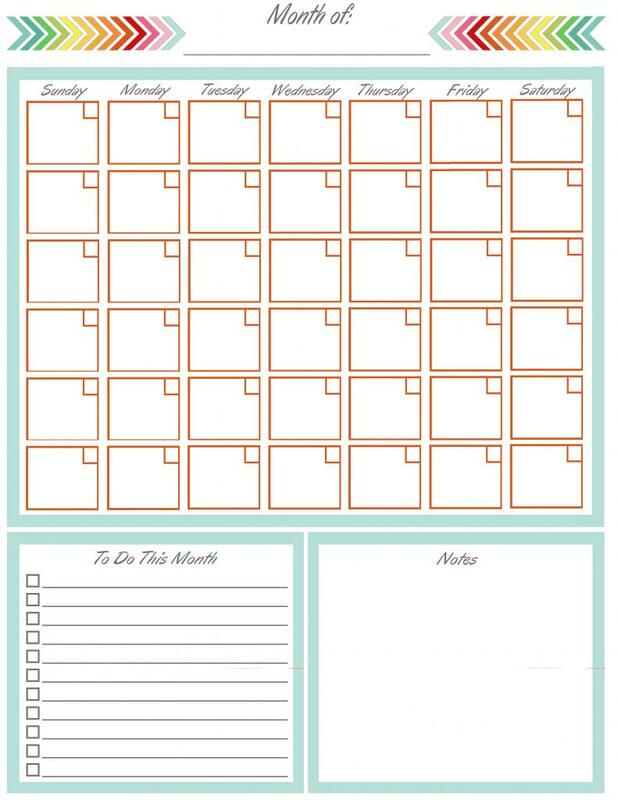 loving all your free printable, I am currently putting my home management binder together and your printable have helped a lot. Thanks a bunch! This is really great! 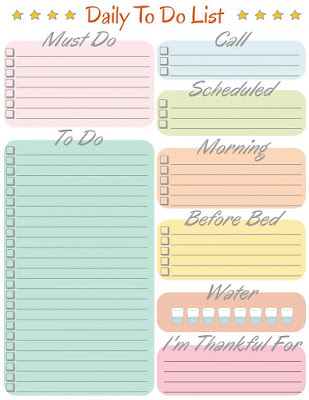 I am trying to get more organized so this works perfectly! Thank you for sharing with us! What program do you use to make these? I would like to make a couple with text boxes that are rounded like your important dates one, but not sure how to do it? Roylene, I use a program called Gimp. It is like photo shop only free. These are great. I prefer to keep most of this info on my phone/iPad/iMac but think I'll make a binder as I will feel better with a hard copy of all my stuff. These are wonderful! I'm a stay at home mum who wants to study and go back to work and I was stressing out when thinking of all the things I don't get done now! - let alone the things I won't get done when I'm not home everyday. I'm printing these out immediately!! Thank you so much! These are great and free so what can be better. Thank you for your creativity! I would love to make these myself but I am horrible at creative thing! Natalie, check in your printer settings and see if there is an option to resize the page before printing. This is really awesome! Thank you so much and I'm working on mine now! These pages are AMAZING! They're bright and colorful which makes me actually WANT to look at them, instead of the typical dreary black, white, and gray colors. Not to mention the pages make sense, they're well organized, and easy enough to follow that my husband and children would be capable of using this without any help on my part. However, I was wondering if you could add a few pages? 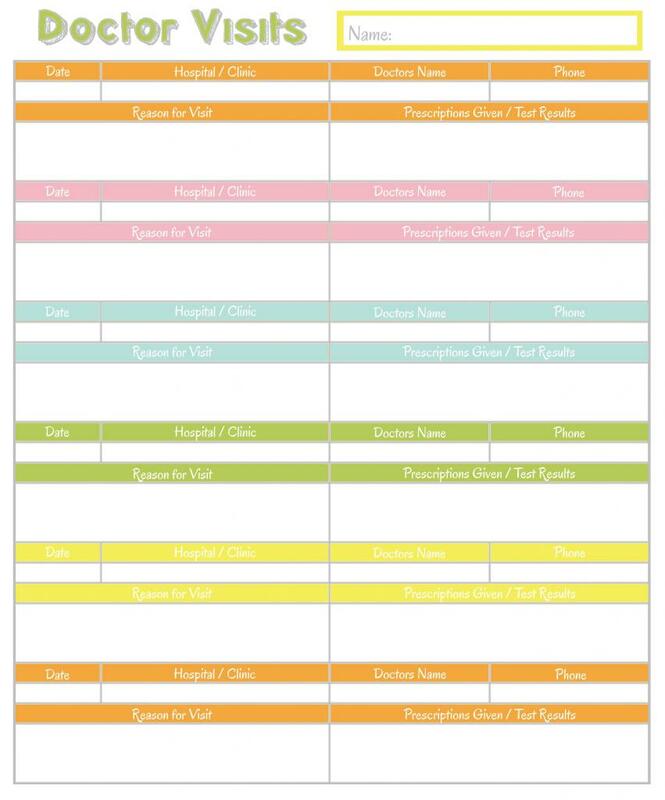 I have small children (1 and unborn, lol) so a vaccine schedule/tracking page would be great! Also, a financial planning/budget page would be good too. 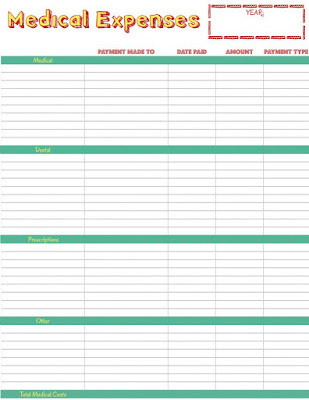 A place to keep track of incoming and outgoing cash flow, savings, etc. I can't wait to print these and get my own binder started! Thank you SOOOOO much for sharing!! Thank you for the amazing pages. I've been looking for some great examples for a few weeks, but these are my favorites. I'm so ready to start organizing. 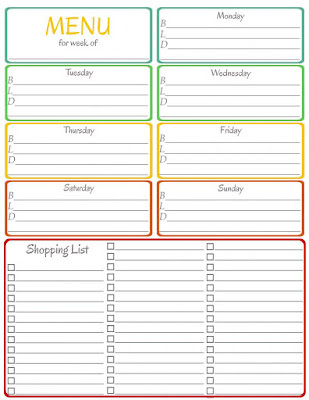 This is a GREAT way to start getting organized. Is there any way to get these as a word doc to create an electronic version of the binder? As a student who is always on the go, an electronic version would help me greatly. I love this! 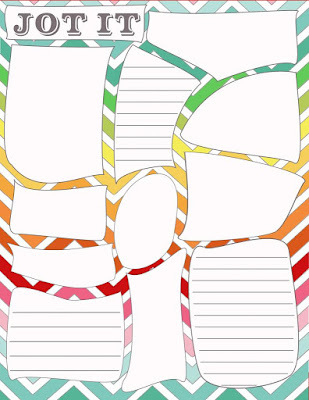 What great colors and a great collection of printables! I will be using these for sure! One thing I am on the hunt or is a master project list with the project, projected due date, materials needed, total cost of project, etc... If you come up with one, that'd be great :) Keep up the great work! 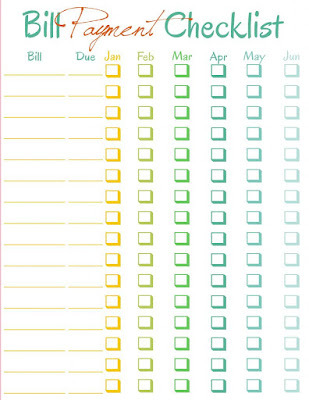 Do you have an updated "Bill Payment Checklist" that includes July to December months? Elizabeth, thank you for stopping by. The Bill Payment Checklist is actually for the full year it is just spread across two pages. Click on the link above to be taken to the full download. how do you make these printables? i love what you created but would like to make my own to meet my needs and in my style. what program do you use? Thanks! Thanks for making all the pages available to us, they are fantastic. 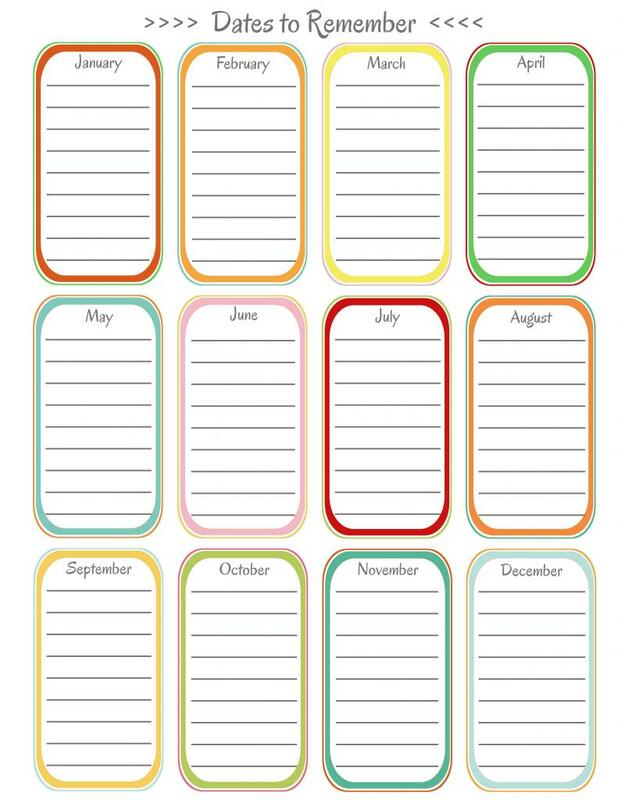 I would love to have a printable that would help me keep track of all my magazine subscriptions. Some of the columns on the page that would be helpful would be; name of magazine, when subscription started, when it will end, how the subscription started (mailed card in, online), cost of magazine. And if you could think of anything else to add that would be great. Again, thanks for all your hard work in creating these printables! 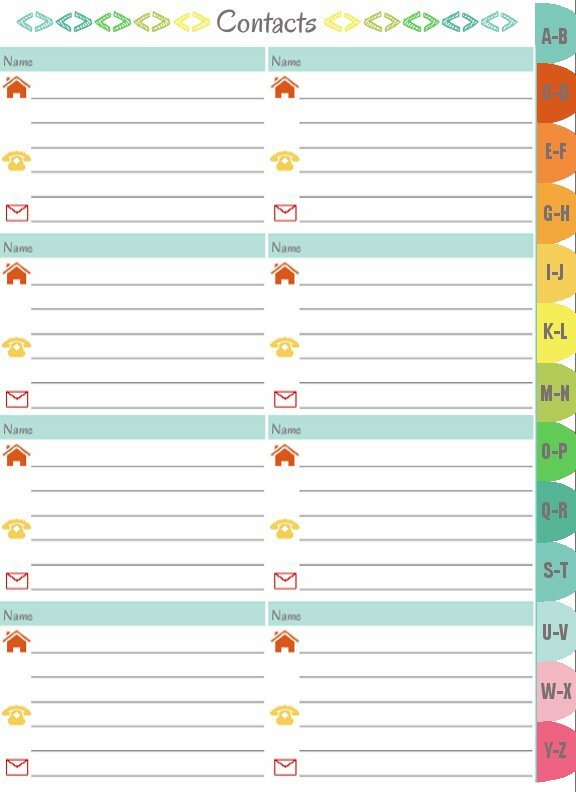 Love these printables and would love to get these, I have an Arc notebook which is 6 3/4x8 3/4 and my page are 51/2x81/2 how do you get these sizes pages so how would I resize these pages. I would absolutely LOVE to see a daily expense log! Please please please make one! THANK YOU! P.S. can you make a weekly exercise log too? great site. everything was useful. i love it. I have liked your page on Facebook and have downloaded and printed the pages you have shared! Would love to see a Recipes to Try; maybe a gas/mileage page; Pet info pages/Vet page; Yard work to be done; also a Car Care page. Need any more ??? Thanks so much! Great suggestions! Trying to prepare my semi-grown children for adulthood while I'm away for job training for a few weeks. 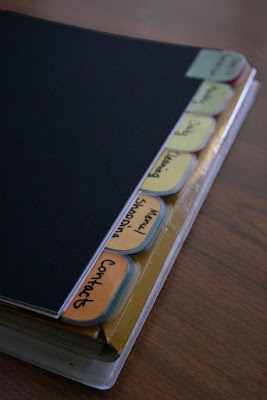 This was a great idea to keep important things organized in a fashion that is simplistic and understandable. Thank you! Good thing you included the medical information section. I also appreciate the Bill Payment Checklist. This is such a steal for a busy mom like me. 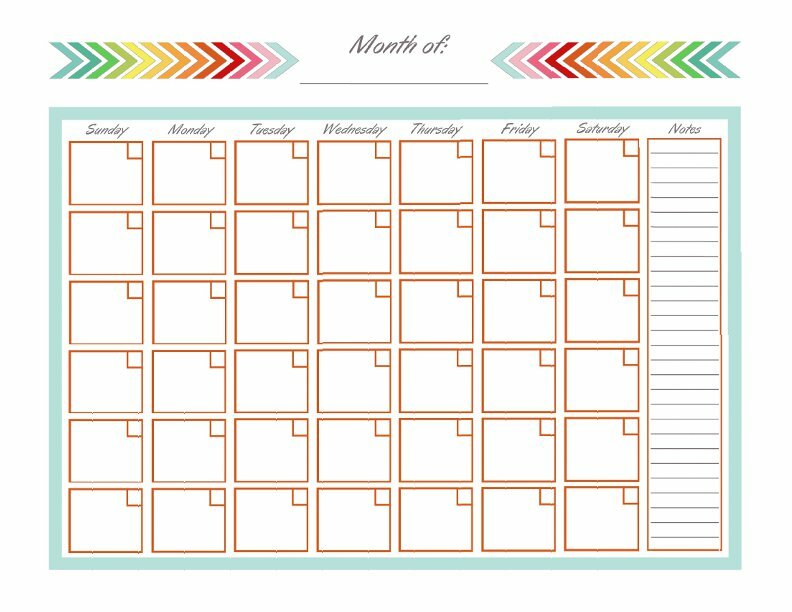 I think I have to include also the full page monthly calendar (portrait view) and weekly planner page to organize my schedule for winter break. I have to send this out to SLB Printing for several copies. I want to share it to my sisters and closest friends. Love them, Use them, Print them again. I'm a fan. Only problem is the weekly pages start with Monday, which often causes me problems. Any chance of a Sunday start for calendars? 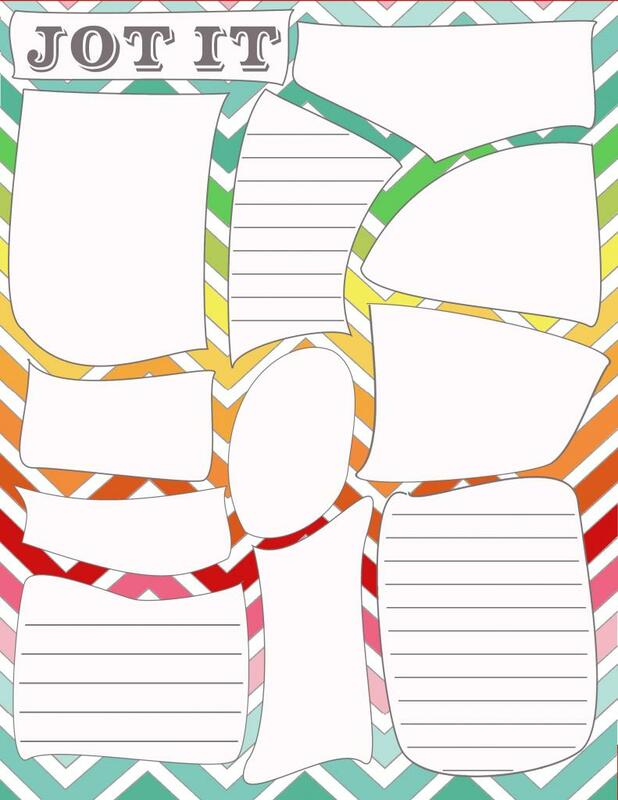 Love your binder printables...Do you think you will put a wedding binder together? I'm so lost with where to start. Most websites I go to they want money...I just need a idea on what to look for when budgeting for my wedding!!! Keep up the awesome job you are doing with the binders. I've saved your site so I can keep an eye on any updates that you have done! Thanks again! Have a very Blessed Week! !